Cruise the Thames is a tall ship. 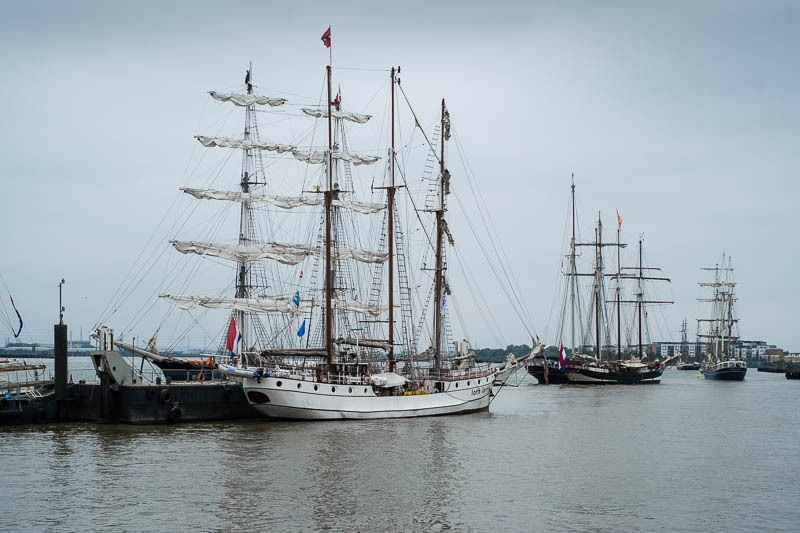 Another day of the Tall Ship Festival giving you a last chance, for this year anyway, to cruise the Thames in one of these magnificent ships. Just be sure to take your waterproof gear. A great way to cruise no doubt. You take some good pics at times. Very hard to get such ships into one picture. I would enjoy it, but they never come up this way. I think I'd have to go down to Montreal to see tall ships. Very well composed image, Mo. Welcome back. Would that I could - one of my great, great grandads was a Master Mariner.